More Reasons To Eat Fruit: cherries help calm your nervous system. Peaches ward off evil spirits. 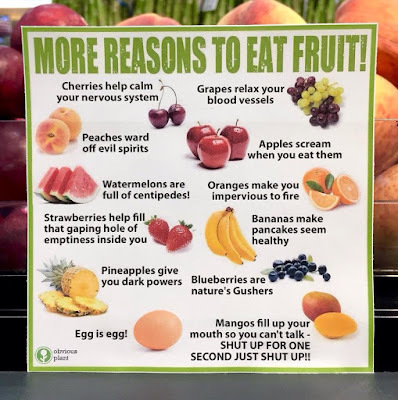 Apples scream when you eat them. Watermelons are full of centipedes. Oranges make you impervious to fire.